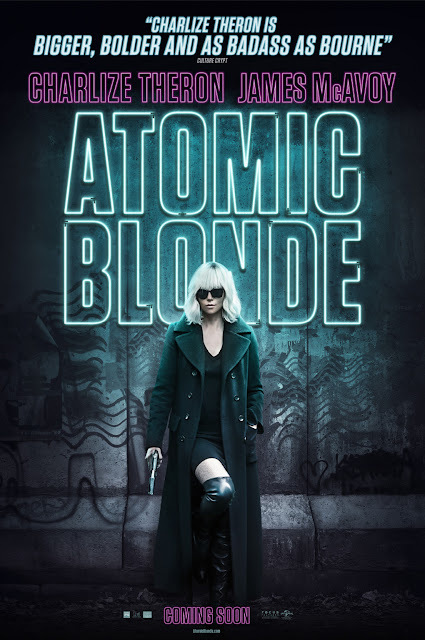 Charlize Theron suits up as the most lethal of assassins in “Atomic Blonde”, a breakneck action-thriller that follows Theron’s Agent Lorraine Broughton, considered as MI6’s most skilled agent in the midst of a ticking time bomb of a city simmering with revolution and double-crossing hives of traitors. Directed by acclaimed David Leitch, filmmaker behind hits such as “John Wick” films and the director of the upcoming “Deadpool 2”, “Atomic Blonde” is also based on the Oni Press graphic novel series “The Coldest City” by Anthony Johnston and illustrated by Sam Hart. Set in 1989 on the eve of the fall of the Berlin Wall, Agent Lorraine Broughton (Theron) is sent to Berlin to take down an espionage ring that has killed an agent for unknown reasons. Willing to deploy any of her skills to stay alive on her impossible mission, Broughton partners with embedded station chief David Percival (James McAvoy) to navigate her way through the deadliest game of spies. The movie also stars John Goodman (“Monsters, Inc.) and Sofia Boutella (“The Mummy”, “Kingsman”). Theron, who has played all kinds of roles ranging from action to drama, further reveals her versatility in “Atomic Blonde” as she engages in sleek action scenes brimming with intense sexuality, and dazzling style as a lethal fearless spy.